Analyses of Recent Decisions, Statutory Changes, and Regulatory Changes: As appellate advocates, we must quickly master details, and then cut to the chase, in dealing with complex legal problems. And we can bring this unique skill set to bear in helping you digest and respond effectively to a rapidly changing legal and regulatory environment. 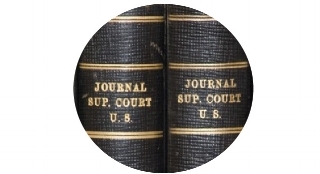 Whether keeping tabs on key litigation or assessing the import of specific regulatory or statutory changes, we can answer your questions and help you find creative solutions using our informed perspective, with written products ranging from formal legal memos to talking points to share with corporate executives. Appellate Risk Assessments: Many appellate cases have far-reaching effects beyond the parties’ own interests, and sometimes you need to know the likelihood that a judgment will be altered on appeal, even though you are not involved in the case. We can use our experience and understanding of how appellate judges approach problems to give you a nuanced assessment of the likely outcomes on appeal.